CONSTRUCTION: The sturdy design of the Fire Patrol “A” filter is made of two layers of baffles, strategically placed to allow grease laden air to swirl, adhering the grease to the baffles themselves. 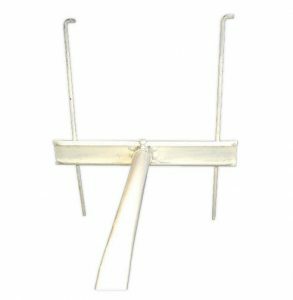 Grease drains down the baffles into a trough, where it can be easily wiped away. 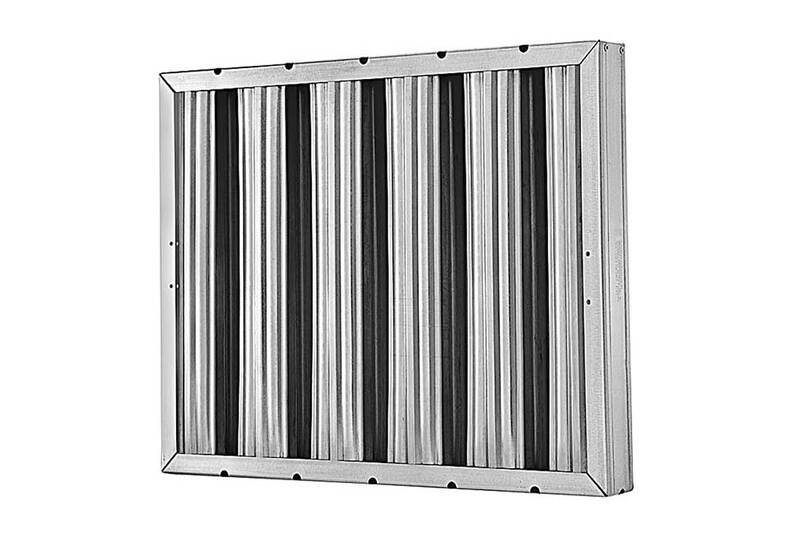 Support strips hold each baffle at precise distances from one another, allowing the proper distance between each baffle as well as giving the Fire Patrol the stability this type of filter requires. 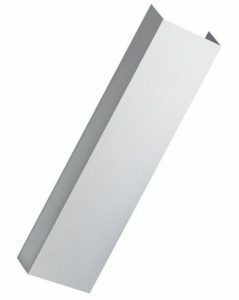 Each baffle “pad” is supported by a solid metal frame, securely riveted on one side. Maximum temperature is 250 degrees F.
MATERIAL: The SMITH FIRE PATROL “A” is made from heavy commercial Aluminum on both the baffles and the frame. Even the rivets are Aluminum. CLEANABILITY: Easily cleaned in a conventional or commercial dishwasher, sink or by steam. When cleaning Aluminum filters, never use a strong alkali solution, as it will eat away at the aluminum. Recommended cleaning times vary per application depending on the type and amount of grease accumulated. C.F.M. Capacity Net Face Velocity F.P.M.